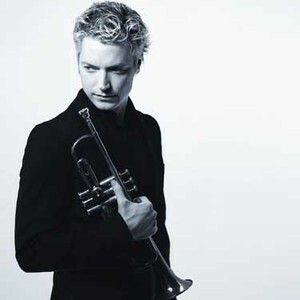 Chris Botti (born October 12, 1962 in Portland, Oregon, USA) is a smooth jazz trumpeter. His famous muted trumpet is the same model that was once used by Miles Davis. He plays a Martin Committee trumpet made 1940 Handicraft and a mouthpiece from Bach made in 1921 Mt Vincent Bach Corp 3C. He has performed with artists such as Sting, Paul Simon, Josh Groban, Dave Koz, Jeff Lorber, Jill Scott, Michael Bubl&eacute; and Brian Culbertson. Botti is also a former radio host. His show, called "Chill with Chris Botti," focused mainly on "chill" music, which is described as "smooth jazz with a touch of cool jazz."